“The Amateur Astronomer” first appeared as a serial article in Colpa Press’s La Gazzetta, a silkscreened monthly broadside made available at the newsstand kiosk on Market and 6th Streets (March 15 – Sept 15, 2012). 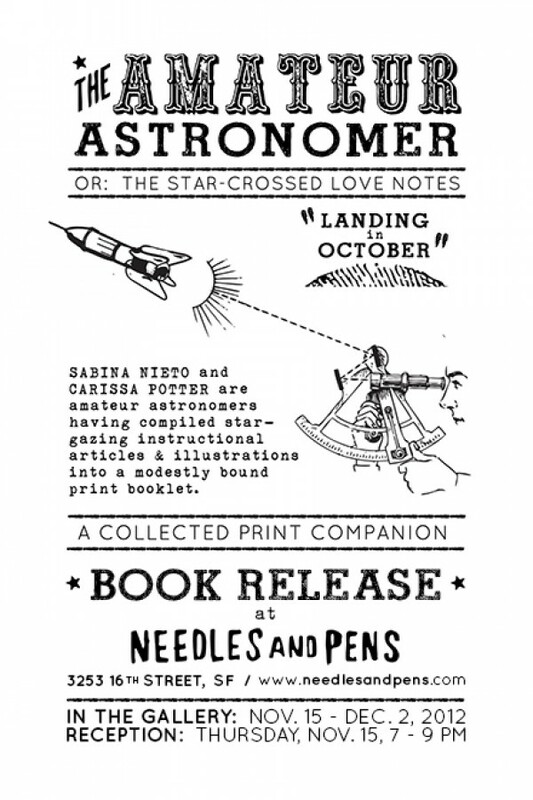 “Amateur Astronomer” epistolary novelette compiles those articles with diagrammatic illustrations as a limited print run of 50 chapbooks. 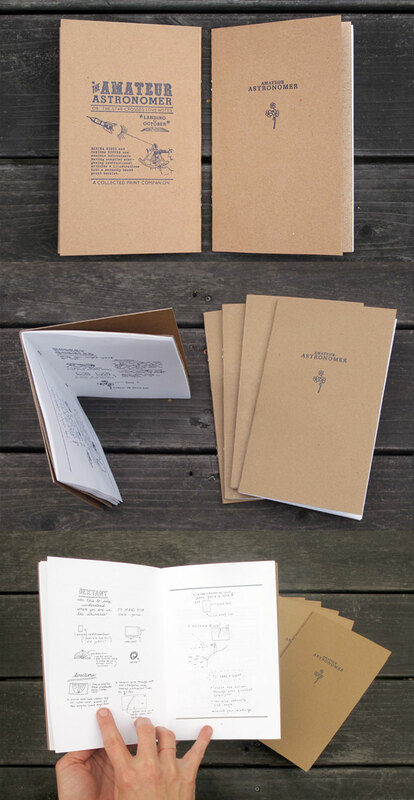 Booklets were designed, printed and published by Sabina Nieto and Carissa Potter in San Francisco, California, 2012. 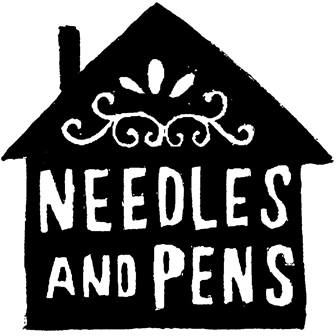 Book Premise: These monthly advice columns look to make a constellation. By re-presenting the stars, we seek to make site-specific observations about our setting with the goal of growing closer. Once a month we aim to introduce a tool from a set spanning the spectrum of childhood playthings to beyond our realm of expertise. A social application is suggested and diagrammatic instructions propose how one might continue to search the night sky with a take-home activity. A gallery installation accompanies this book release. Opening reception promises books for sale, a sip of Carissa’s Lonely Stargazer elixir and simple sextant activity station.